Advanced Solar Technology is a Western Australia solar energy company based in Heathridge, WA. “ All above (top ratings; value for money, system quality, installation and customer service) says it all; everything done, absolutely no hassle. I nearly forgot I was having it, as it went so smooth from signing up to being fitted. Now to see if it saves me money. Alex was very informative and prompt. Not at all pushy with sales. Quality of service and product was definitely a focus. The installation trades were very professional and neat. The panel location layout was different from our initial discussion during the quote, but after raising concerns and receiving further information regarding the change, we are happy with the result. Of the other two suggestions you gave me one came and stayed for ages selling me the system, but never got back to me with a proper quote, the other I think sent me a quote via email and never came to the house, they have sent me several emails though. We had our system installed 19.07.2018 and am more than happy with the end product and price. Alex made contact after installation to confirm if we were satisfied or not and a further follow up will occur after the next billing period. Alex's team of installers (Ben, Jake and Henry) were superb as they had a "can do" attitude which really showed during the more difficult sections of the install. My installation was as neat as you can get. One provided the best quality spec of all but the price was 50% more than Advance Solar Technology (AST). Felt that the AST system was still top quality (using Solar Quotes site to research panels and inverter specified in quotes) but much better value for money. The other sales person was very knowledgeable but did not offer to come to our house, this put my wife off side. Another cancelled appointment 2 times and then did not even turn up for the 3rd appointment, I was also passed from one salesman to another. Second salesman then rang me 3 weeks later to ask if I was still interested, when I told him I wasn't, because I hadn't heard from them, he then told me that it was because I had not rung him back. Needless to say, if a company cannot even organise their appointments, for a quote, I am not going to trust them with installing a solar system on my house. 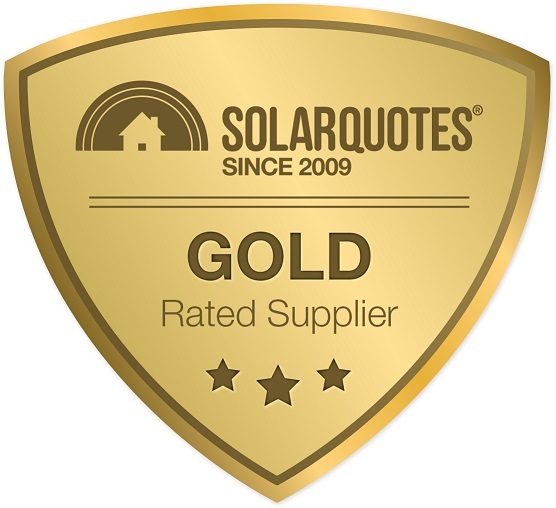 After having contacted numerous solar system providers I was pleasantly surprised by what Solarquotes had to offer with respect to what amounted to accredited supplier/installers. Only two in Perth but that was no problem as they both contacted me within a reasonable time frame and duly provided their quotations. Alex from Advanced called at our home and explained in detail what he was offering and the options available to us based on our system requirements. System was installed in January 2017 which was earlier than promised so that was all good. Installation team had system installed in no time at all and provided basic system instruction and procedure in the event of a problem. They completed a neat installation and took care of all packaging etc. All well and good. However, and no fault of the installer the system had no sooner been commissioned and it went into alarm with a notification that the Inverter was Over Voltage Range! Installer suggested we call Western Power as this was their responsibility to adjust grid voltage by "tapping it down". This was a situation I had not expected. I hadn't taken a cheaper quote ( of which I had ample opportunity), but considered that by paying a fair and reasonable price I would in return have the benefit of good and reliable service with equipment that will last the term. Having had the benefit in my working life of quoting end users and managing installation of electronic security products the knowledge that things do go wrong or that local environmental/geographical conditions can play a part, we always informed our customer of the fact that given local conditions they could expect certain adverse outcomes, which would be addressed at the time of commissioning. My wife and I do not recall being told that if the local grid supply is above a certain voltage the system will go into alarm. So hence my concerns which lead to a call to Alex who subsequently informed me that there had been a software/firmware upgrade to the Delta Inverters in October 2016 which caused the OVR situation and I would have to contact Western Power regarding a Tap Down of the grid voltage. Unit displayed 258Vac when in alarm. Western Power were very helpful and on 3RD February adjusted grid voltage down and solar system has been doing its job averaging just on 20,000Wh per day, all good. Now I have reviewed the documentation that came with the Inverter to see if there should be something else I need to be on the lookout for. In particular there are two Test Reports that came with the unit that state that unit passed. Interestingly enough I couldn't locate any information with respect to software or firmware versions or that the particular unit I have was upgraded/adjusted in October 2015 (as indicated by Alex). According to PV Inverter Test Report test date was 2015/12/6. Surely if box had been opened for modification of software/firmware, there should have been some documented notification included. Maybe Delta's QA/QC procedure needs reviewing? With regard to OVR test range for Australia the unit was tested at 265Vac+/-2% (270Vac Trip), yet at 258Vac unit went into alarm for OVR. All factors considered I have working system and once I have had two consecutive accounts from Synergy I will be able to see what the financial benefit has been. I have recommended your services and those of Advanced Technology to colleagues who I am aware are in the market for Solar power in the future and trust they will place their business with you. Thank for following up on our installation, and that if what I have provided is of interest and can improve outcomes for future clients that will be a benefit to us all. With respect to LED lighting I have requested a quotation from local lighting suppliers for my requirements and that should in time reflect a further saving. It was a good exercise to try and find a good brand. I believed most of the things that Alex was telling me and he seemed very honest. Hopefully I will get installation next week. buying a very good product. I would appreciate any tricks to looking after the panels or inverter. We are having problems with the PV cells automatically shutting down whenever the voltage reaches the programmed max from the system 260 volts. The electricity supplier, Western Power, have to date taken no action to fix this. Also the inverter supplier have not agreed that the voltage limits on the system be reprogrammed, so that the cut outs are avoided. So far I have had no contact with Advanced Solar Technology (North) subsequent to the installation. Would have expected at least a follow up phone call to check that all was working as expected. Green Wiring only sent an email price list. Unfortunately I had to wait for two weeks for the panel installation as they were held up by customs on the water front. Salesman, Alex, is also the owner of the company and he was very friendly and informative when he visited to give a quote. We had quotes from three other companies, including Synergy, but only two came out to the house. 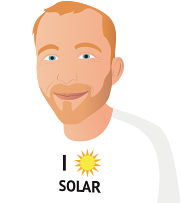 We chose Advanced Solar Technology despite the fact that they did not follow up with as much detailed, written information regarding expected output and equipment etc as all the other companies and I had to ask for a written contract which was provided at another visit when we signed up. Paperwork was a bit thin on the ground compared to the bigger companies. Installation was spread over two days due to bad weather conditions. Very neat and tidy electrical installation in garage of inverter where it is easily accessible and protected from the weather. Tidy and pleasant contractors who cleaned up after themselves and took away all rubbish. We requested East and North orientation of roof panels as we did not want to see anything at the front of the house. In my opinion they are very ugly and the less that can be seen, the better! Hopefully this will not impact too much on the output. We were given several array options but went more with aesthetics! Fingers crossed! Looking forward to first bill to see what savings we have made. Alex also said that he would call at a later date with a device to show us how much power we are buying at different times of the day. Hopefully this is not just part of the sales pitch and it does eventuate. We are pleased with what we have experienced so far and as there was little to choose between in price, apart from Synergy who were considerably more expensive in their quotes, we probably made the right choice for us. Have to say that the salesman from Solar E, Lawrence, was very helpful and informative and it was a close call between the two.